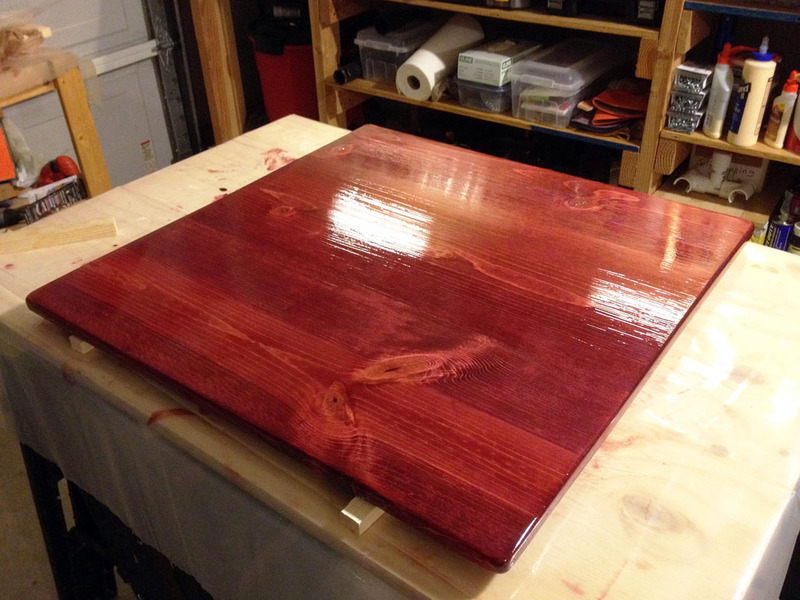 I really think that I have not been putting enough poly on each coat that I have been applying to my projects. 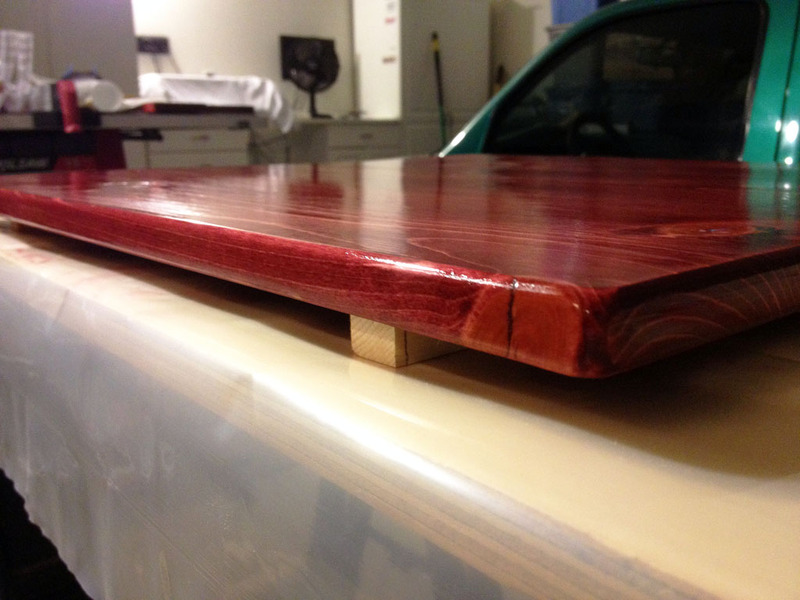 I was really worried about putting too much on and was apply just enough that the wood looked slightly wet. I applied what felt like a heavy coat (compared to what I have been using) and I finally saw the material look slightly milky white like it does in all the YouTube videos I have watched. 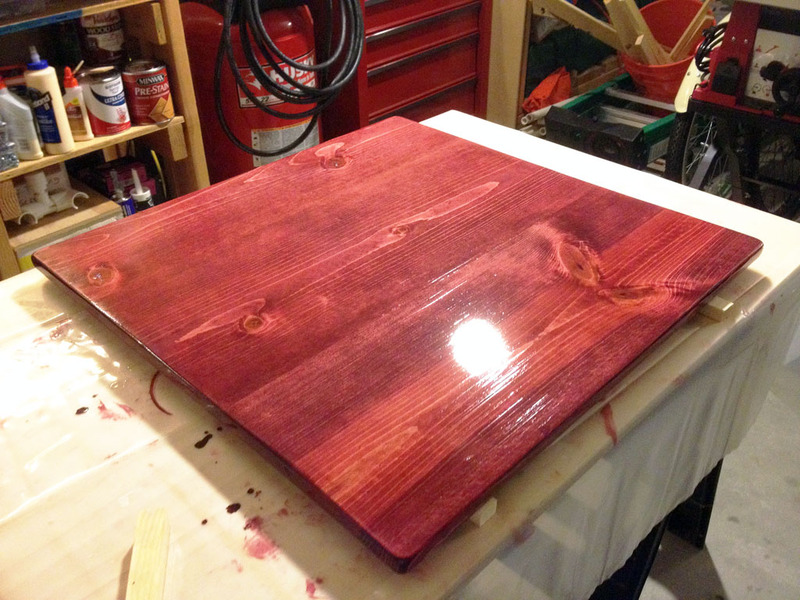 I lightly sanded the 1st coat smooth last night and then put on the second coat at 9:30 pm. I waited 2 hours like the directions on the can say to and checked the finish and it felt pretty smooth so I applied coat number 3. I checked it this morning before I went to work and it still felt very smooth. I figure I will put the 2nd coat on the bottom of the tabletop tonight, let it sit for an hour, and then lightly sand the top and add one more coat to make 4. I will then let it sit overnight and lightly sand and apply another coat tomorrow morning. Wow, this is really starting to feel like work!